Which drivers had a race to remember? Who had a weekend to forget? Check out the Mexican Grand Prix driver ratings, courtesy of Late Braking. Max Verstappen: We think it might be fair to call Max a Mexican Grand Prix specialist. For the second year in succession, Verstappen has beaten first place off the line before waltzing off into the distance and never looking back. 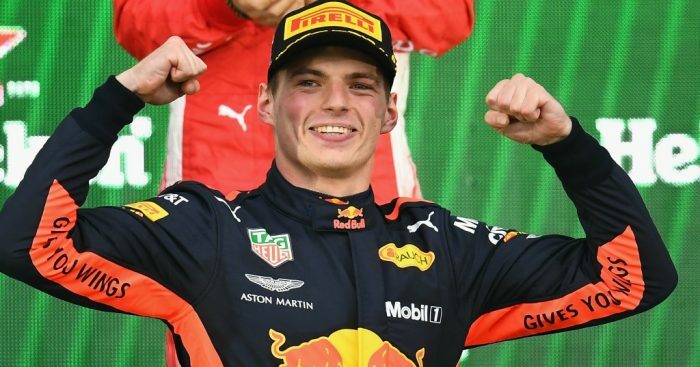 All that was missing for the perfect weekend was that historic pole position, which he missed out on by a mere 0.026 seconds to Daniel Ricciardo, but Verstappen put it quickly behind him to beat the Australian off the line on Sunday. Keeping Hamilton at bay on the start was also crucial. From there, Verstappen nursed his tyres wonderfully and managed his pace magnificently. There was also his maturity continuing to shine through as he immediately initiated conversations about turning the engine down to avoid suffering the same fate as his very unfortunate team-mate. Sebastian Vettel: Vettel’s aim for the weekend had to be all out victory, to try and keep his very slim championship hopes alive. The Ferrari was mightily quick in sector one of the lap during qualifying, but it was not enough for a front row start. A conservative getaway saw Vettel remain in fourth but, after lengthening his first stint, Vettel showed some great pace. He eventually sailed past Hamilton and Ricciardo, and was arguably quick enough to challenge Verstappen, but was too far back to do anything about it. Kimi Raikkonen: After his rare win in Austin, we saw a side of Kimi that we see on a more regular basis and that is somehow finding his way onto the podium in the quietest way possible. Raikkonen was off the pace of team-mate Vettel pretty much all weekend. The Finn qualified last of the top six, and was comfortably adrift of Vettel throughout the race. Whilst clearly quicker than both Mercedes cars, he was gifted a podium after Ricciardo’s untimely demise. For the first time in a long time, the Mercedes was the third quickest car. Hamilton pulled out a great lap in qualifying to sit third on the grid and a mega start almost saw him take the lead during the long dash down to Turn One. 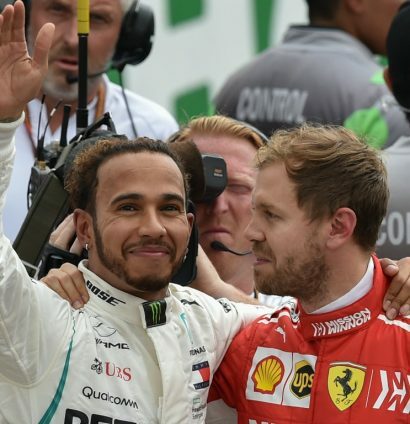 During the race, it did not matter what compound the Mercedes car was on, they all got completely butchered and Hamilton was a sitting duck for the likes of Vettel and Ricciardo. However, despite the Mexican Grand Prix being a self-described “horrible” race, consistency and common sense was all that was needed. Valtteri Bottas: Like his fellow Finn, Bottas seemed off the pace all weekend in comparison to team-mate Hamilton. He managed to get stuck in at the start of the race, and briefly overtook Vettel, before the German muscled his way back through. He struggled even more than Hamilton on tyres, and had to make a third stop under the final VSC. A three-stopper in a Mercedes car? It’s not very often we see that. Nico Hulkenberg: The Renault car looked in great form all weekend and Hulkenberg came to Mexico on a high after his P6 in Austin. The German qualified best of the rest for the second weekend running and, although his team-mate got the better of him after the start, ‘The Hulk’ eventually bagged another P6 finish to claim vital points over Haas in the Constructors’ and strengthen his own hand in ‘winning’ the ‘B’ World Championship. Charles Leclerc: After back-to-back retirements, Leclerc was looking for some better luck in Mexico and finally got some. Both Saubers qualified in the top ten but, with the hypersoft tyres being so fragile, it seemed to be the wrong strategy for Sunday. Stoffel Vandoorne: Finally! Points for Stoffel! It looked like being business as usual for the Belgian after being out-qualified by Fernando Alonso (albeit by just a tenth) and knocked out in Q1 again. Marcus Ericsson:Ericsson was in the same predicament as Leclerc, taking pain on Sunday for a gain on Saturday. The expectation was to see at least one Sauber (most likely Ericsson) slip out of the points. From P20 to P10, a great drive from Pierre through the field! Pierre Gasly: Considering that he started at the back of the grid, P10 for Gasly was a pretty mammoth result. The Frenchman swapped to a two-stop strategy under the first VSC, and made the most of the aggressive switch. Esteban Ocon:Ocon secured the best midfield spot on the grid with P11 in qualifying. The Frenchman could start on his choice of tyre and still be right in the mix. Lance Stroll:Stroll was lucky to avoid a grid drop on Saturday after being investigated for not one, but two track infringements. Sergey Sirotkin: Although outpaced by his team-mate, Sirotkin found himself in the unusual position of being able to beat another team. Brendon Hartley:The New Zealander really needed to perform well this weekend to try and keep his spot in Formula 1 next season…but ended up doing more harm than good. Romain Grosjean:The Frenchman out-qualified his team-mate by more than half a second on Saturday but a three-place grid drop for causing a collision in Austin ensured he would start behind K-Mag. 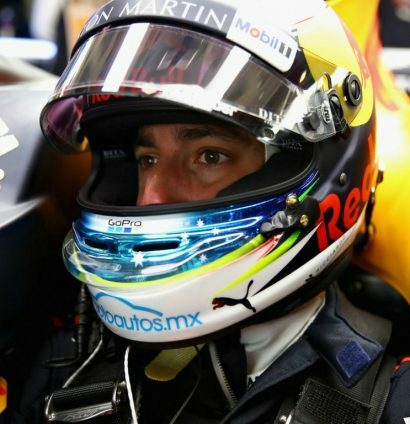 Daniel Ricciardo: Once again, Ricciardo found himself parked up at the side of a race circuit for his eight retirement of the season. Can one driver really be this cursed or are there some darker forces at work before he heads off to Renault?